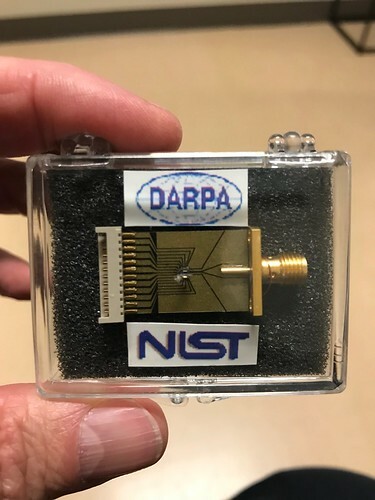 Earlier this month I was fortunate to be included on a tour of the time and frequency facilities at the Boulder Colorado laboratories of the National Institute of Standards and Technology (NIST). I got to walk right up to the F-2 cesium fountain atomic clock, which, along with the earlier F-1, is the standard frequency reference for the United States. I always thought the F-2 ran all the time. Fortunately that's not true, or else we might not have been able to see it. 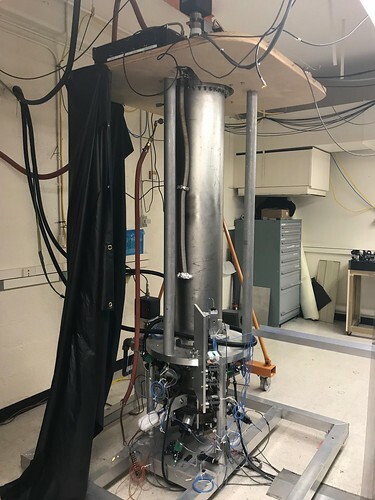 NIST fires it up periodically to calibrate an ensemble of commercial atomic clocks, which do run all the time, and which we didn't get to see. 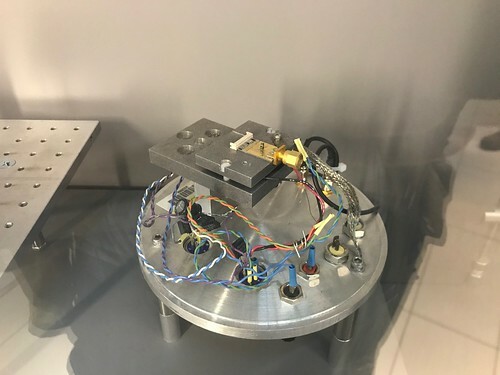 I also got to see a couple of the prototypes of the chip-scale atomic clock (CSAC) developed as a result of NIST and DARPA research projects. 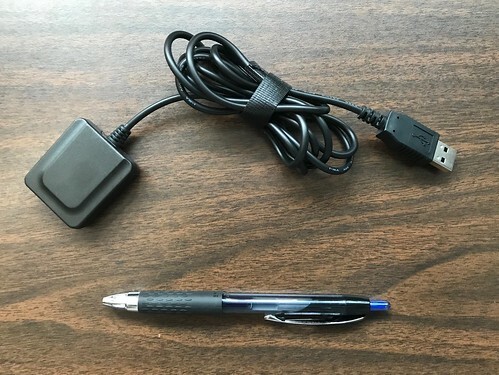 I used a commercialized version of this same device in the stratum-0 NTP server that I built. Like me, you may have read the book From Sundials to Atomic Clocks: Understanding Time and Frequency by NIST physicist James Jespersen and Jane Fitz-Randolph. 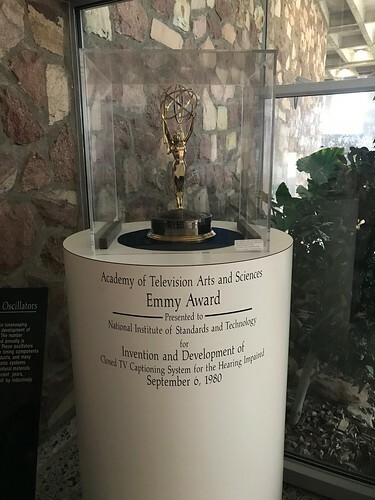 But did you know Jespersen was part of a team that won an Emmy award for the invention of close captioning? 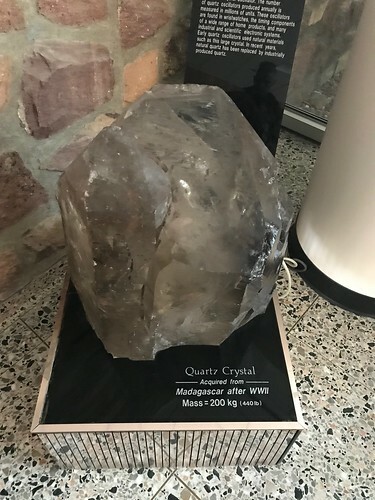 Also: a four hundred pound quartz crystal. Just a little bit bigger than the one in your quartz wristwatch. 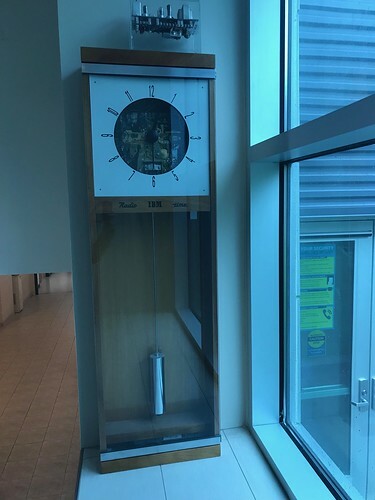 On display in a hallway was an IBM radio clock: it's a high precision electro-mechanical pendulum clock with a radio that allows it to set itself according to the NIST time code transmissions. 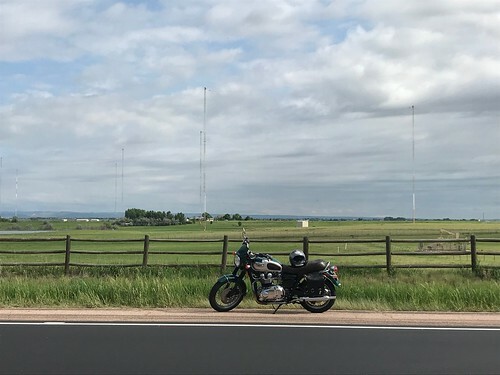 Speaking of which, it only seemed appropriate this morning that I take a little jaunt up to see the WWV (short-wave) and WWVB (long-wave) transmitter towers just north of Fort Collins Colorado. This is from where a time code is transmitted to an estimated fifty million radio clocks, including the WWVB radio clock that I built, in the continental United States. 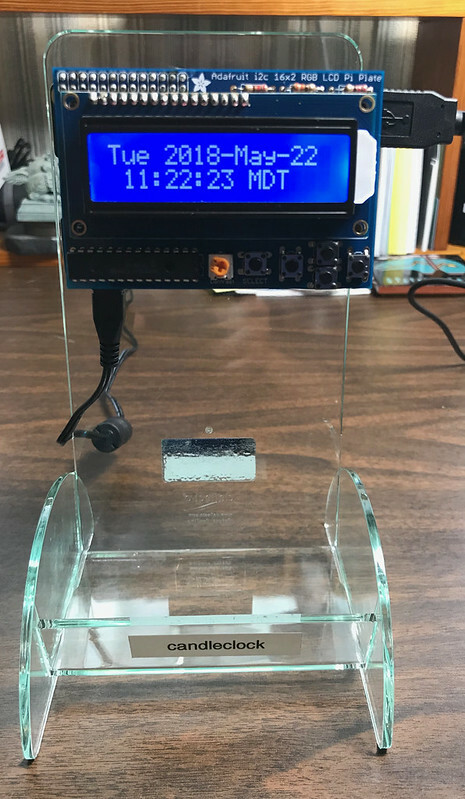 The time code is synchronized to a cesium atomic clock on site, which in turn is synchronized to the NIST master atomic clocks in Boulder Colorado.